8 Ft. 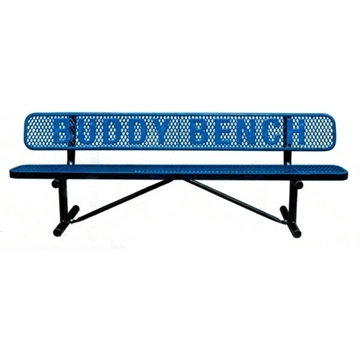 Buddy Bench with Back, Perforated Steel, 168 lbs. 6 Ft. 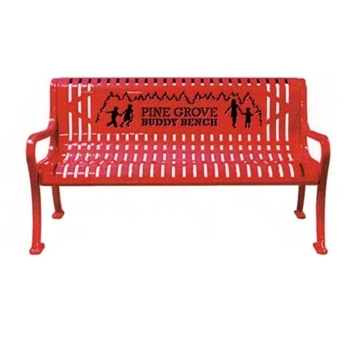 Buddy Bench with Back, Wingline Ribbed Steel, 121 lbs. 5 Ft. 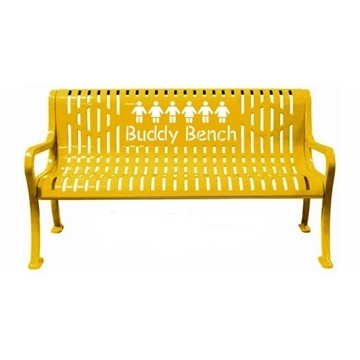 Buddy Bench with Back, Classic Ribbed Steel, 110 lbs. Here at Picnic Furniture, we offer commercial grade child size benches ideal for elementary schools, pre-schools, daycares, and playgrounds across the nation. Our child size benches are built with lowered seat heights, allowing easy access to children. Most of our child size benches are crated using durable thermoplastic materials designed to stand against constant child use and last years in harmful weather conditions. 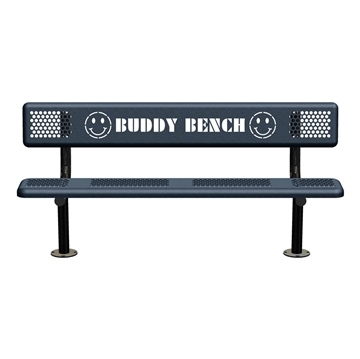 We also carry the popular Buddy Bench available in 3 different styles such as, "Helping Hands", "All Smiles", and "Standard Text". Picnic Furniture's child size benches are constructed in the USA with a 5-year commercial warranty provided. Contact on friendly staff today for a quote or information on quantity pricing.